The world of programming invites those who want to learn how to code, develop, and create new ways to improve the ways we interact, conduct business, and live every day life. Whether you’re looking for online resources to teach yourself how to code to level up in your career or prepping for a coding bootcamp, look no further! We’ve put together a list of some of the most effective and widely used resources for all coders out there who want to build their coding skills. We’ve collected some of our favorite online resources that provide (often free!) information, courses, quizzes, and so much more! Come, see what’s out there. 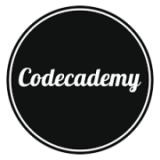 Codecademy offers free online classes in Java, Python, Ruby, and HTML & CSS. With tens of millions of users, these folks are doing something right! Codecademy started by offering courses in Python and HTML & CSS, but are currently re-vamping their course selection to include brand new instruction in HTML5 & CSS3. The lessons include introductory text and exercises. Each exercise includes a console where you can write and test code — and you can’t continue with the lesson until the code is correct. Much of the content is free of charge, but there is some premium content that requires a paid membership. Coderbyte is the perfect place for those who want more of a challenge than some of the other resources tend to offer. With everything from one-week courses in a language of your choice, to front end and back end development, to job interview prep with questions straight from the likes of Google, Microsoft, and Facebook. Coderbyte’s lessons are in video form, many of the video lessons require paid membership. The site also includes coding challenges, and practice questions which can be solved using the provided console, and checked against provided solutions. There are also links to other resources, and tracks suggested especially for individual bootcamps. What do a Python course at University of Michigan, Java Programming at Duke, and Algorithms: Design and Analysis at Stanford have in common? Coursera offers those and hundreds of other courses in five subjects within computer science from learning institutions around the world, totally online. 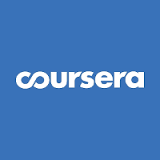 Coursera offers courses with video content, readings, quizzes and assignments. Unlike many online courses, these are not self-paced; you must start when the course starts, and participate at the rate that the course materials become available. These courses range from beginner (Python for Everybody) to more specialized (Data Science in Python). These courses tend to be more comprehensive and require more commitment. Some courses require payment. 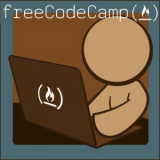 Community-based approach offering free coding instruction and links to other resources to help beginners learn to code, freeCodeCamp is a diamond in the rough. They’ve focused in on the non-profit sector, building a web-based community of people learning and working with open source code to find solutions that make an impact in the real world. Courses include text introductions and exercises to complete in a provided console. There are also video lessons, and challenges that include real-world agile-style user stories as their descriptions. After completing course work and earning certificates, students may access projects requested by non-profits who need coding work done. 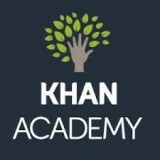 Well known for their philosophy that you can learn anything, Khan Academy offers free, personalized learning exercises in a multitude of subjects, including computer programming. They’ve been operating as a non-profit organization for ten years with the sole aim of providing education for anyone, for free, for the betterment of everyone. Udacity gained some recognition when it came out with its Self Driving Car Engineer nanodegree, but that’s far from all they have to offer. Udacity offers a wide range of topics — in Python alone, there are free courses ranging from from Software Debugging with automated debuggers to implementing RESTful APIs. The course content is contained in videos; the problem sets and quizzes are also in video form. Some of the classes/nanodegrees are free, and some require a membership. 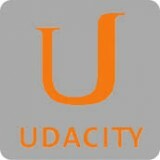 Our final offering is Udemy, a vast network of resources and learning opportunities. With over 40,000 courses, 12,000,000 students, and 20,000 instructors, Udemy uses an on-demand model for self-paced coursework, allowing students to learn what they want, when they want. 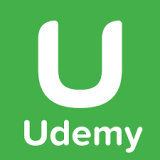 Udemy offers a wide range of courses (8 courses for Python Networking and Security alone! ), though many of them require payment. The course structure includes video instruction, plus multiple-choice quizzes to test your comprehension. 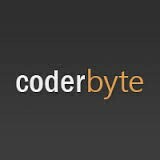 Dabbling with the idea of learning to code in person with like minded women? Become a software engineer at Hackbright Academy in 12 short weeks through our software engineering fellowship!